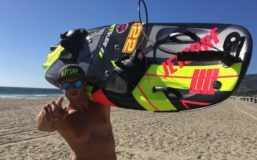 It is a great gadget for recharging your JetSurf battery in places with no access to a power outlet. Goal Zero Yeti 400 Lithium is a portable power station with compact dimensions (20,3 x 20,3 x 26 cm), very reasonable weight (28,6 pounds) and you can even recharge it from the sun with solar panels but they are not included. 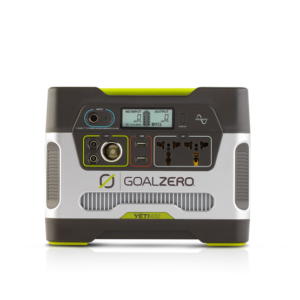 You can buy Goal Zero Yeti 400 with solar panels packet here. When is Goal Zero Yeti 400 handy? Portable power station Goal Zero Yeti 400 is great if you travel with more then one JetSurf. If you need charge two or even 3 JetSurf batteries at ones, you can plug one JetSurf into your car 12V outlet and 2 JetSurfs into Goal Zero Yeti 400. If the car has no 12 V outlet where you could recharge your JetSurf battery. Even in these high-tech times, you can still find cars with no 12 V outlet.